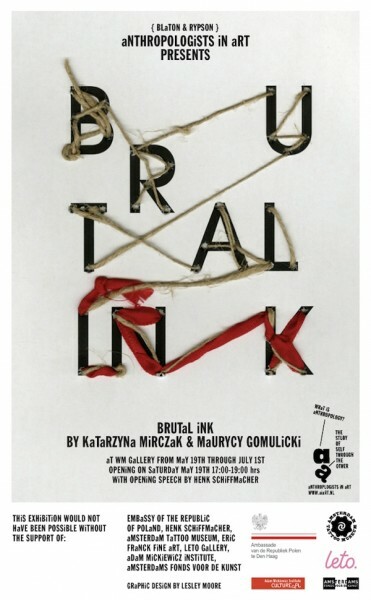 Anthropologists in Art proudly present Brutal Ink; an unique duo-exhibition of Polish raw tattoos by Maurycy Gomulicki and Katarzyna Mirczak. Both artists present two very different aspects of the little-known world of the Polish raw tattooing practice with their respective series – Gomulicki’s Dziary (Raw Tattoos) and Mirczak’s Znaki Specjalne (Special Signs). While tattooing is usually done with specially crafted tools and ink in the strictest of hygienic settings, raw or brutal tattoos are mostly done in situations where professional instruments are unavailable e.g. in prisons where the art of tattooing is generally prohibited. 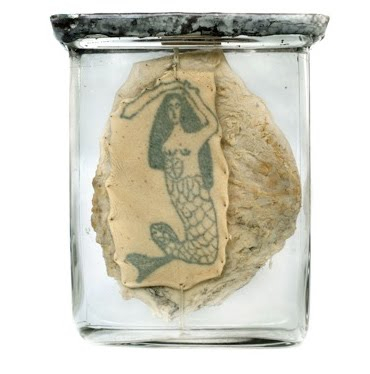 Although these tattoos can be extremely complicated and of high aesthetic quality, generally they are characterised by a monochrome design, and often carry particular symbolic or sentimental value for the bearer and their social, criminal or professional peers. Both the series by Maurycy and Katarzyna have the limited visual accessibility for the ordinary public in common. Beside the considerable artistic merit, that both series harbour individually, together they possess an inherent voyeuristic and anthropological sensibility of this oftentimes misunderstood creative practice. 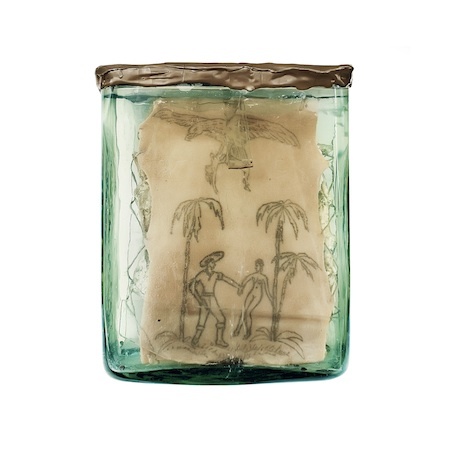 Mirczak’sseries (Znaki Specjalne – Special Signs) of 25 photographs features glass jars containing pieces of tattooed flesh and skin, perfectly preserved in formaldehyde; the oldest dating back to 1875. Some are the only traces left of long-forgotten sailors and soldiers. Most, however, are of deceased prisoners posthumously dissected. This beautifully photographed series undoubtedly imparts an ambivalent feeling to the viewer, both that of revulsion and attraction. 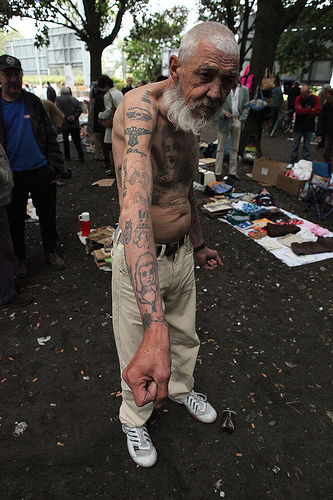 Most of the people documented by Gomulicki have been incarcerated at some point or other (especially in the period 1950-1980) and were tattooed whilst in the Polish penitentiary system. 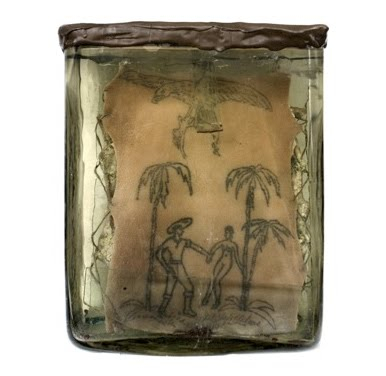 Sentiment and humour prevail, although here and there tattoos of stars, epaulettes and symbols signify a secret language of the various prisons. 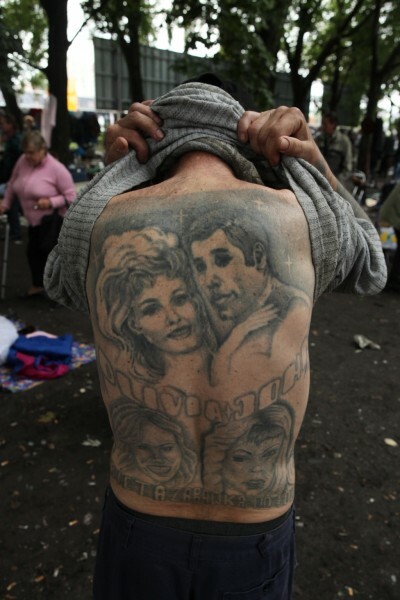 However, the most popular designs are those of women, pop-cultural expressions (a large back-tattoo of John Travolta and Olivia Newton John is unforgettable) and lyrical one-liners. In all, the darker side of life is clearly visible on these weathered bodies, ravaged by alcohol, time and a jumble of old scars that criss-cross the human canvas.